Noting that this is “not meant to be a comprehensive list of all possible depictions of disabilities”, Apple goes on to explain that this is intended as “an initial starting point”. Apple has worked with the American Council of the Blind, the Cerebral Palsy Foundation, and the National Association of the Deaf to develop the emoji. 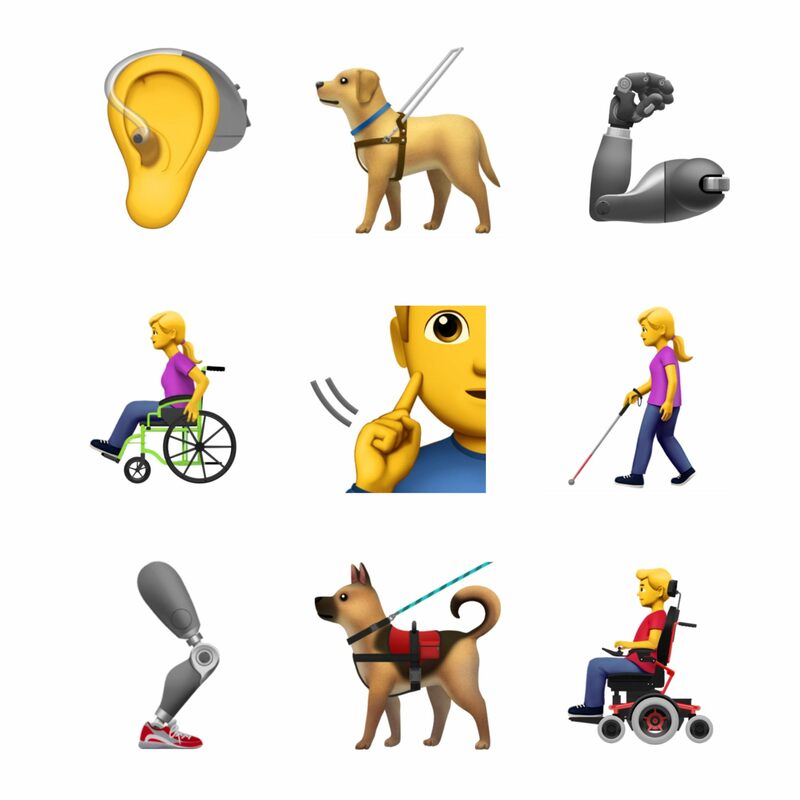 Among the emoji included in the set are Guide Dog With Harness, Person With White Cane, Ear With Hearing Aid, Deaf Sign, Person in Mechanized Wheelchair, Person in Manual Wheelchair, Mechanical or Prosthetic Arm and Leg, and Service Dog With Vest and Leash. The proposed emoji, if adopted, wouldn’t appear until Unicode 12.0 is released sometime in the first half of 2019.